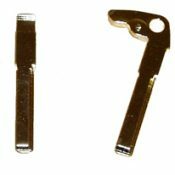 A key blade to fit Mercedes Sprinter flip key remotes, cut to the locks on your van. Models include: Sprinter 1997 on. We do not use genuine mercedes blades, we use pattern blades manufactured by Silca. 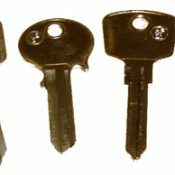 A key for Mercedes cars manufactured between 1955 and 1994 cut to number or photo, except those with a laser cut key. Models Include: Fuoristrada, 4WD, 200, 200D, 206D, 207D, 208D, 209D, 220, 220D, 230, 230/4, 230/6, 240, 240D, 250, 250C, 280, 280C/E/CE/S/SE, 300, 350, 350SE/SL/SLC, 306D, 307D, 380SL/SLC, U900 Unimog, 7200. We do not use original Mercedes blanks, we use high quality steel blanks manufactured by Silca. A key to fit Mercedes Sprinter flip key remotes, cut to the locks on your van. NOTE: this will not start the engine of the van, it will only turn the locks. Models include: Sprinter 1997 on. We do not use genuine mercedes blades, we use pattern blades manufactured by Silca. 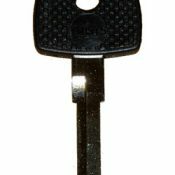 A laser key cut to key number for Mercedes cars manufactured before 1995. Models Include: 200, 230, 250, 260, 280SE/SL/SLC, 300E/SD/SE/SL/SLC, 360, 380SE/SL/SLC, 420, 450SE/SL/SLC, 500SE/SL/SLC, 560, 600, 1000 C180, C200, C220, C280, C300. 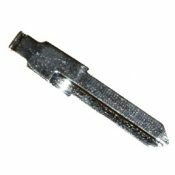 A key blade to fit Mercedes key remotes, cut to the locks on your car. Please note these blades cannot be cut to photo. Models include: Actros all models, CL 1995-1999, CLK 1997-2002, E-Class 1997-2002, M-Class 1998-2005, S-Class 1995 – 1999, SL-Class 1995-2002, SLK 1997-2004, Sprinter 1997 on, Vito 1998 on. 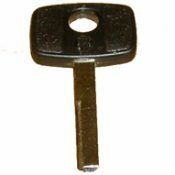 A key blade to fit Mercedes key remotes, cut to the locks on your car. Models include: CLK 1997-2002, E-Class 1995-1997, SLK 1996-1997.